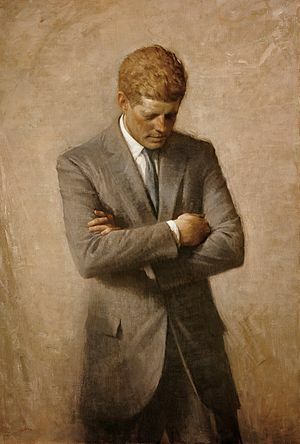 On Friday the United States will mark the 50th anniversary of the assination of President John F. Kenndedy. The media has been stirring for the past week with programs and news stories about Kennedy and his legacy. On Sunday, the news magazine CBS Sunday Morning spent their entire 90 minutes exploring the life and death of the young President. Wendy and I were on the couch watching as it’s part of our Sunday morning routine. Wendy and I discussed President Kennedy that morning and the reality that he was in office less than three years before he was shot. Kennedy inspired the nation and laid out a grand vision, but he was killed before the nation could hold him accountable for his leadership in taking us to the realization of that vision. Reading current headlines is an interesting contrast. Our current President also inspired the nation and laid out a grand vision, but five years later the nation is in an uproar over failed implementation, the President’s party is in open rebellion, the nation is more politically divided than ever, and his approval rating is quickly plummeting. We will never know how Kennedy would have fared five years into his Presidency. He was disobedient, allowing his army to capture the King of the Amalekites and take some of the spoils for themselves. He excused his disobedience and lied, stating that the spoils were going to be sacrificed to God so that made it all okay. When Samuel sought out Saul he found Saul, in a display of arrogant pride, erecting a monument to himself (I am so tempted to make the obvious phallic joke here). When initially confronted with his disobedience, Saul did the usual political back-pedaling, obfuscating, and justifying his actions. I am thankful that I do not have to face the spotlight of leadership on a national or global scale. Nevertheless, each of us find ourselves in positions of leadership in our homes, our businesses, neighborhoods and our communities. Time will reveal our strengths and weaknesses to those who follow, even if it’s only among our children, grandchildren or extended family. And make no mistake, our weaknesses will be revealed. I have come to believe that perhaps the real pivotal question of leadership on any scale is how we respond to our own weaknesses and failures. Do we run, hide, excuse, justify, obfuscate, stonewall, gloss over, and deny? Or, do we accept, confess, own up, reconcile, learn from, better ourselves, and make things right?